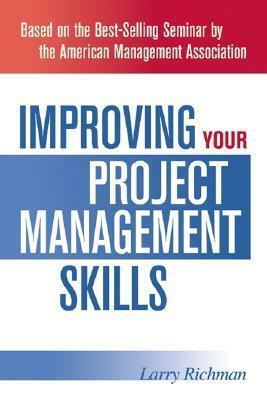 Improving Your Project Management Skills by Larry Richman is a really enriching book for all aspirant and established project managers hungry for getting mastered in enhancement of their skill for managing projects. The second edition was published in 2012 and is themed on one of the most popular seminars with the same name in the United States conducted by American Management Association. The second addition has been completely aligned with PMI’s PMBoK (Project Management Body of Knowledge ®) in terms of revised Project Management Standards, Practices and Methodologies. This excellently presented book completely covers a project’s lifecycle right from its inception to project sign off. You will find a comprehensive coverage of step by step process knowledge of real life projects. The life of any project begins documentation of project definition, project scope and project requirements; and their subsequent sign off to kick start a project. Once the project initiation is handled in a structured manner, there remain less chances of hiccups in its execution and deployment in the next stages. On the basis of project requirements are captured in detail, what a project manager needs to do next is to build work breakdown structure (WBS). The same can be translated to diagrammatic form to manage the sequential activities of project execution/ development phase. Basis work breakdown structure, tasks’ estimations are worked out for each activity with appropriate timelines, team estimations, resource management and financials. Improving Your Project Management Skills by Larry Richman, in a nutshell helps you in chalking out concrete path to accurate estimations and execution without getting budged off with your timelines, costs, resources, quality and teams.